Man City will be hoping they can take care of Schalke 04 and seal their progression to the Champions League quarter finals when the two sides meet at the Etihad Stadium on Tuesday night. City go into the game holding a slender 3-2 lead after winning in Germany over three weeks ago but after events in the past week that have seen both PSG and holders Real Madrid eliminated despite winning the first leg, Pep Guardiola’s side have to be careful. Manchester City centre-back Aymeric Laporte could return from a hamstring injury but John Stones, who has had a groin problem, still needs to be assessed. The hosts are already without suspended pair Nicolas Otamendi and Fernandinho. Schalke playmaker Daniel Caligiuri has been sidelined for four weeks with a leg injury and will not travel. Forward Mark Uth and midfielder Amine Harit have been left out of the squad again for disciplinary reasons but full-back Hamza Mendyl could play. Of the previous 27 occasions of a side scoring three or more goals away from home in the first leg of a Champions League knockout tie, all have gone on to progress, including six after winning 3-2. 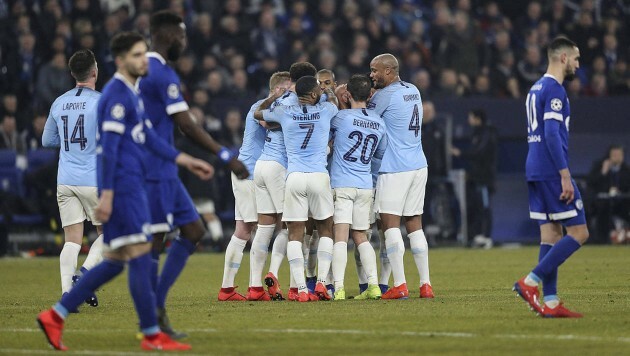 Manchester City have won each of their past three meetings with FC Schalke in European competition, including a 5-1 win in the 1969-70 Cup Winners’ Cup semi-final in their only previous home match against the German club. City have only lost one of their 10 previous home meetings with German opponents in all European competitions (W7, D2), a 3-1 reverse in the 2013-14 Champions League group stages against Bayern Munich. Manchester City have lost both of their last two knockout matches in the Champions League at Etihad Stadium, both 2-1 defeats, by FC Basel in March 2018 and Liverpool in April 2018. City boss Pep Guardiola has never lost to Schalke as a manager in seven previous matches in all competitions, winning five and drawing two. Striker Sergio Aguero has scored in each of his past three Champions League games (three goals total) and is looking to score in four in a row in the competition for the first time. Leroy Sane has scored three goals in Manchester City’s past two Champions League games, as many as he had scored in his first 17 appearances in the competition for the Citizens and former side FC Schalke combined. Juventus will have it all to do when they host Atletico Madrid at the Allainz stadium in their Champions League round of 16 second leg clash. Trailing 2-0 to a very defensively-strong Atletico side, Massimiliano Allegri’s side know that it will be so hard to get the result but again, not beyond their reach. With the greatest goal scorer in the competitions history, Cristiano Ronaldo in their ranks, the Old Lady will surely fancy their chances of progression. However, coming up against Atletico who have a two goal caution to start with, the tie may just be a little too far beyond Juve’s reach. Juventus have a trio of players missing with Sami Khedira, Juan Cuadrado and Douglas Costa all likely to be sidelined. 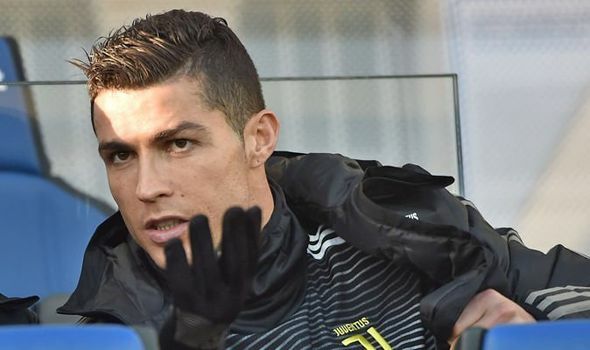 Cristiano Ronaldo was an unused substitute on Friday and is expected to return to the starting XI. Atletico Madrid are the opponent Juventus have faced the most times in the Champions League without ever winning (D1 L2) or scoring (31 shots, 0 goal). Atletico Madrid are unbeaten in the Champions League against Italian opposition under manager Diego Simeone (W5 D2). In those seven games, they have only conceded one goal, by Kaka in a 4-1 win against AC Milan in March 2014. Juventus have lost back-to-back games in the Champions League; they have never previously lost three in succession in the competition. Atletico Madrid have won just one of their last eight knockout games away from home in the Champions League (D2 L5), beating Bayer Leverkusen 4-2 in February 2017. Atletico Madrid have had just eight shots on target and scored two goals in away Champions League games this season; of teams left in the competition only Liverpool have managed fewer (5 shots on target, 1 goal). Six of the last seven goals conceded by Juventus in the Champions League have come from set-piece situations (2 from penalty, 2 from indirect free-kick, 1 from corner, 1 from direct free-kick).